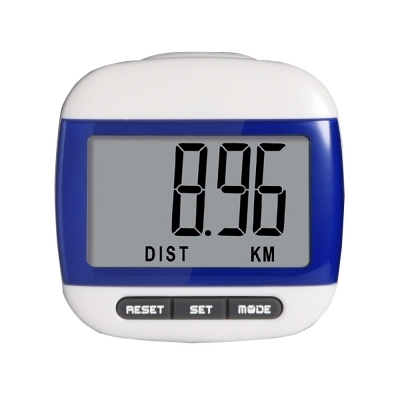 Portable pedometer is lightweight and small. If no motion is detected for 1 minute, the unit will automatically shut down. The walking pedometer is detected via the walking movement. Attached the pedometer near the middle of your waist. All pedometer data for the day will also be reset to zero. The principle of pedometer is to count by shaking, so there will be the gentle sound in the machine (the sound is very light, hanging in the body is not heard).